Alibaba’s cloud computing arm will be its “main business” in the future, CEO Daniel Zhang told CNBC. “We strongly believe that every business in the future will be powered by cloud. We are very happy to build this cloud infrastructure in a new digital era and support all business,” Zhang said. “I think cloud will be … the main business of Alibaba in the future,” he added. The Chinese e-commerce giant’s cloud business has been growing at a rapid pace, and saw revenue rise to 5.67 billion yuan (about $820 million) in the quarter ended September 30, a 90 percent year-on-year increase. Cloud accounted for 7 percent of total revenue in the quarter versus 5 percent in the same period the year before, highlighting how the business is still small but taking more share. Zhang’s interview with CNBC took place before the latest earnings were released and were not in relation to the latest financial numbers. Zhang provided no growth projections nor hard revenue targets for its cloud plans, and he did not mention any global rivals by name. But the cloud business already is dominated by big, established giants including Amazon and Microsoft. Alibaba has been expanding the cloud business into new territories outside China over the past two-and-a-half years. It has opened new data centers across the world, particularly in Asia and Europe. It recently opened a new data center in the U.K., a country where rival Amazon already has a strong presence. 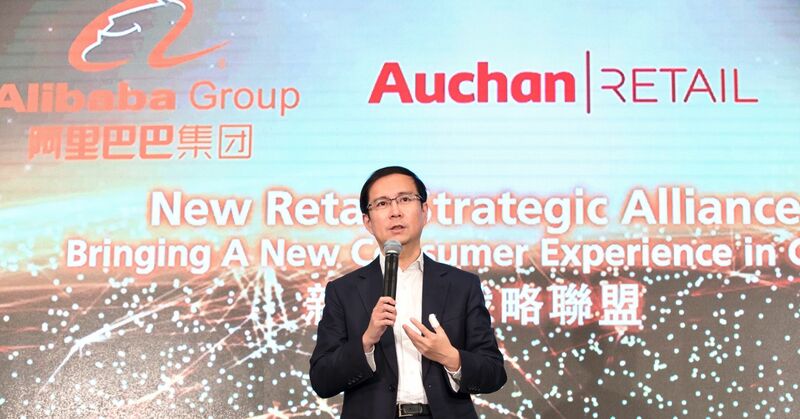 “Alibaba is investing at a tremendous rate to build up its cloud services. It has become one of the world’s hyperscale cloud players, catching up with Amazon, Microsoft and Google,” said Martin Garner, senior vice president at CCS Insight, a U.K.-based analyst firm. Amazon Web Services, the e-commerce firm’s cloud arm, is, however, larger than its Chinese rival. AWS raked in $6.68 billion in sales in the third quarter. Amazon’s success may bode well for Alibaba: “At present cloud services in Alibaba are in investment mode, and are not profitable. As their cloud services build scale they have the potential to become a profit powerhouse for the company, just as AWS is at Amazon,” Garner said. Alibaba is looking to cloud computing as a way to diversify its business beyond retail — much as Amazon did more than a decade ago. 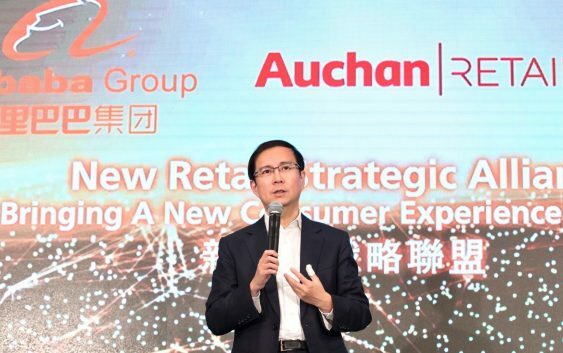 Meanwhile, Alibaba is also pushing a strategy it calls “New Retail,” which is where it tries to combine its online properties with brick-and-mortar stores. That includes food delivery and also its own logistics network. The company also announced plans earlier this year to design its own artificial intelligence chips. Those are to go into servers that handle huge amounts of data and could help Alibaba as it tries to boost its cloud division. “A chip is the core of the computing power. So if you want to plug AI into the business … it’s all about computing power … so that’s why I think we have to spend time on chips,” Zhang told CNBC.